"Most newbies have not been able to take advantage of this signal. 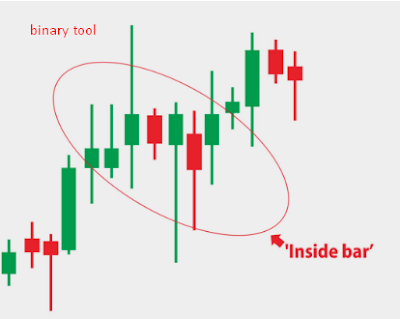 And indeed reading this pattern is quite difficult for beginners, but by continuing to practice and more often finding this pattern, the trader will be more sensitive, "
"To be able to help analyze the signal inside the bar, we can use the bolinger band indicator, or the 20-period Simple Moving Average as an alternative. Can also be used both at once on one chart, "
By combining support / resistance levels, pin bars and inside bars that are formed we can also find the right signals to enter the market.